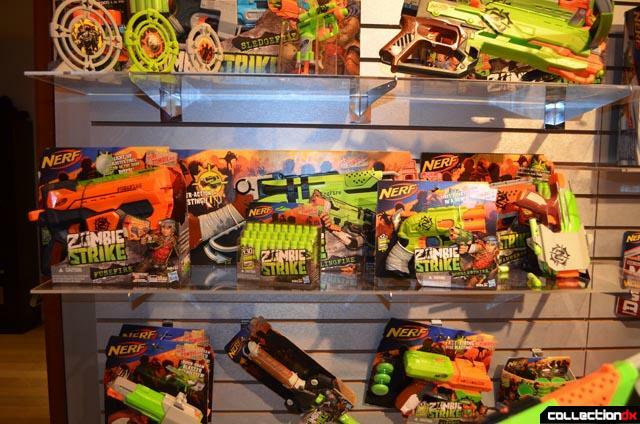 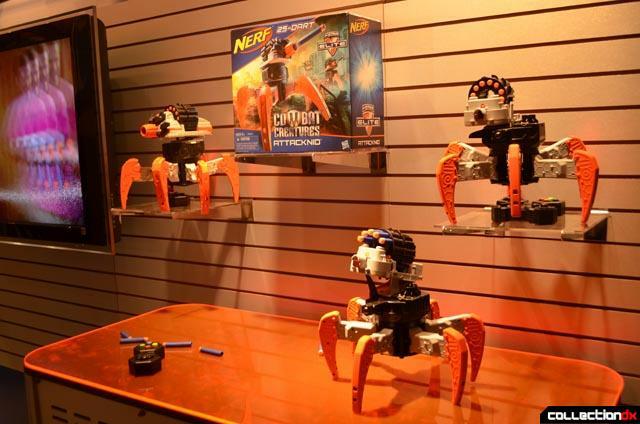 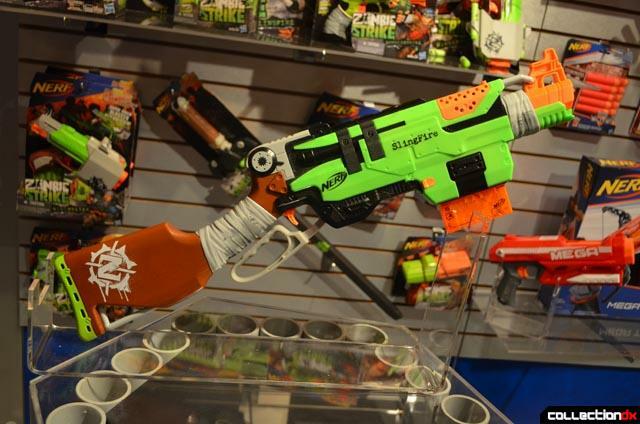 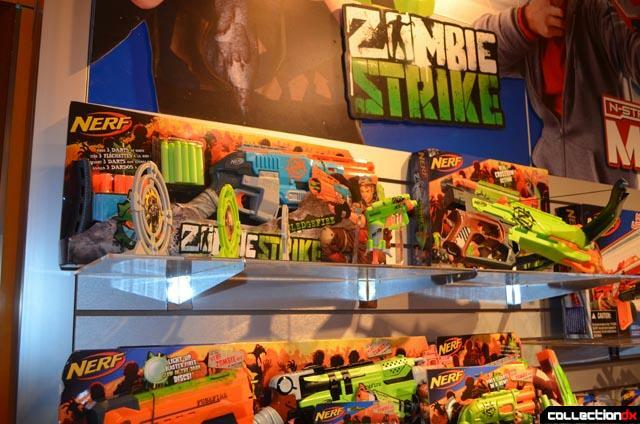 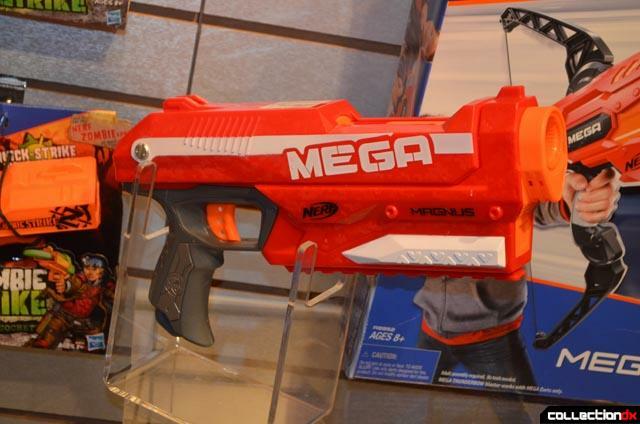 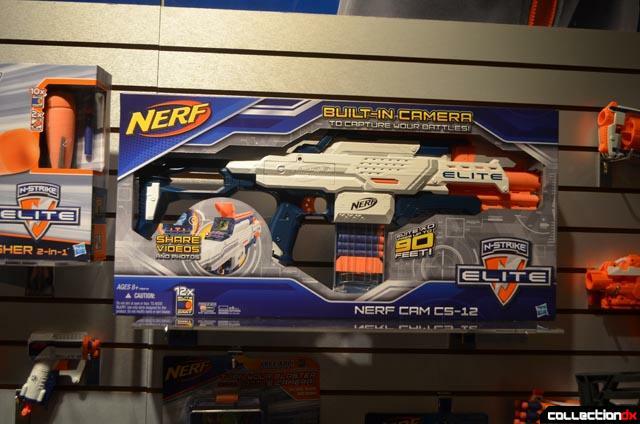 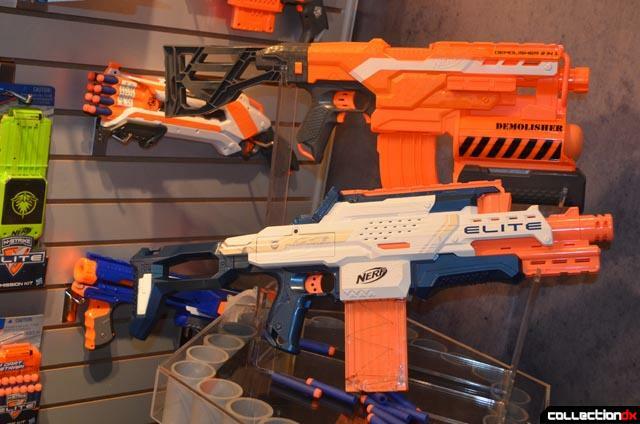 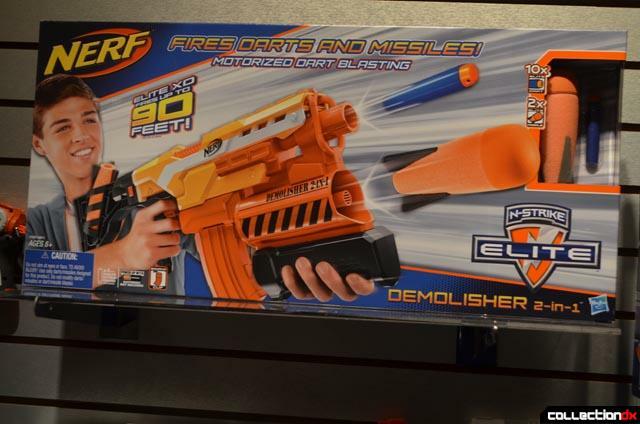 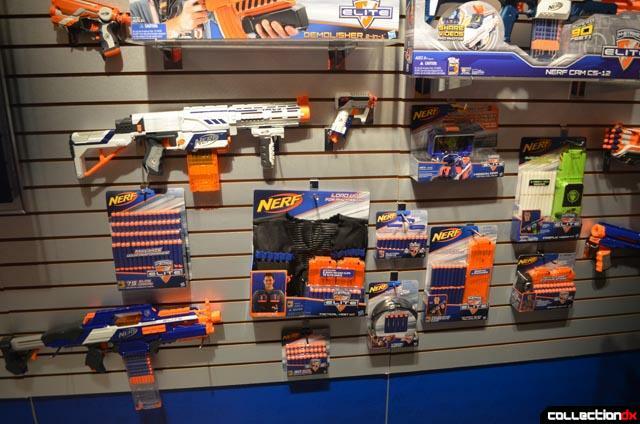 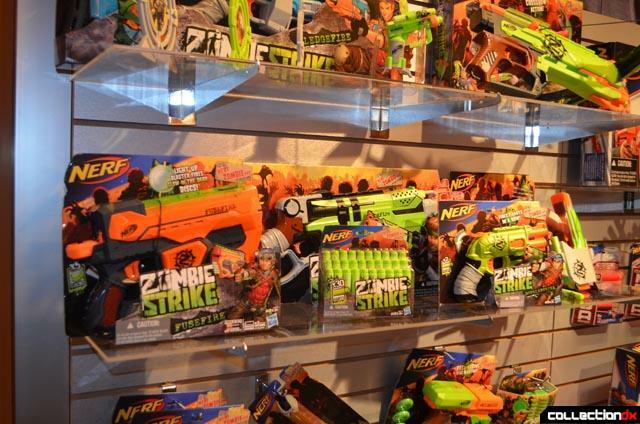 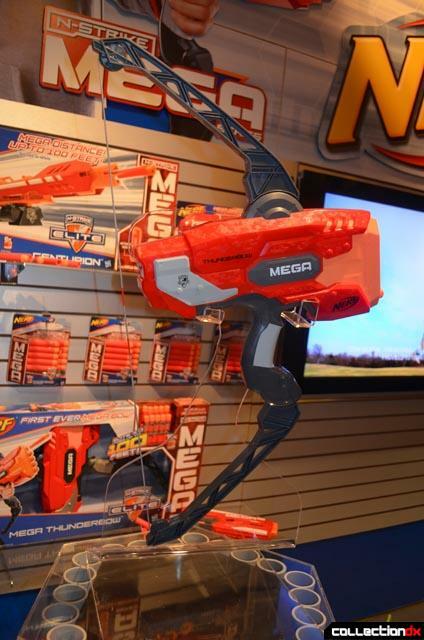 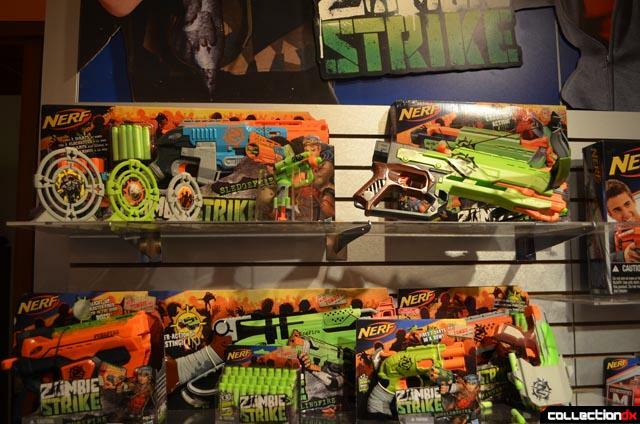 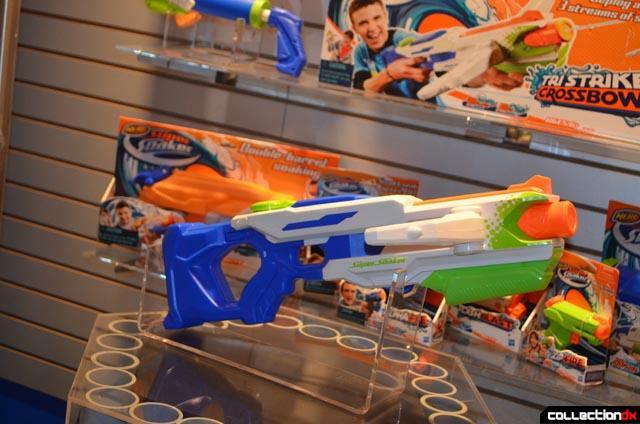 Hasbro was also showcasing it newest Nerf products. 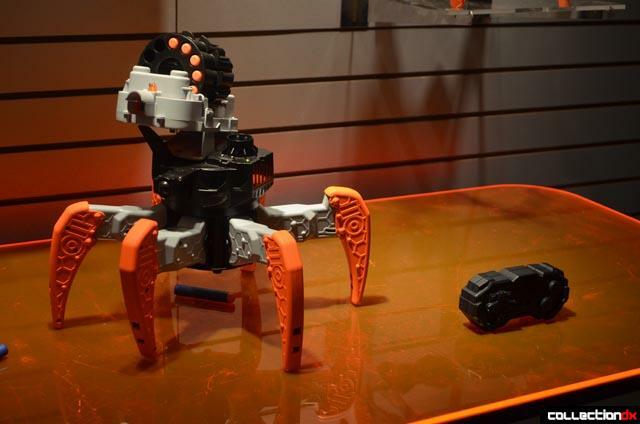 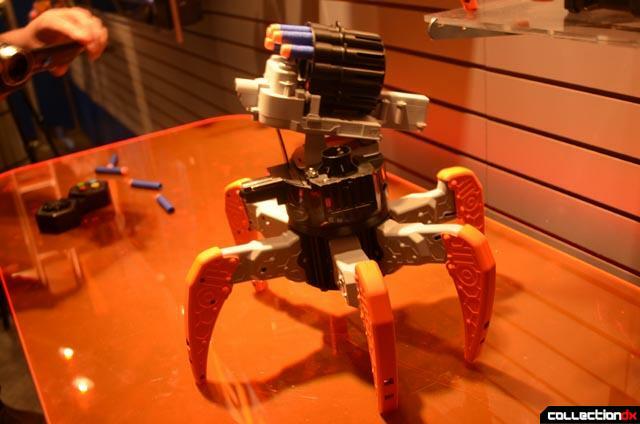 Nerf Attack Creatures Attacknid: a remote controlled Nerf-shooting spider. 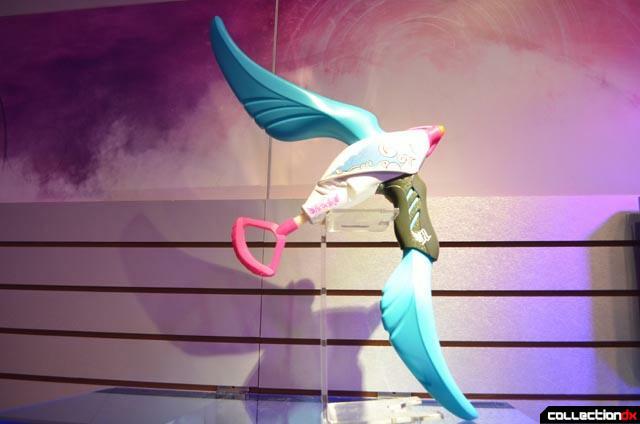 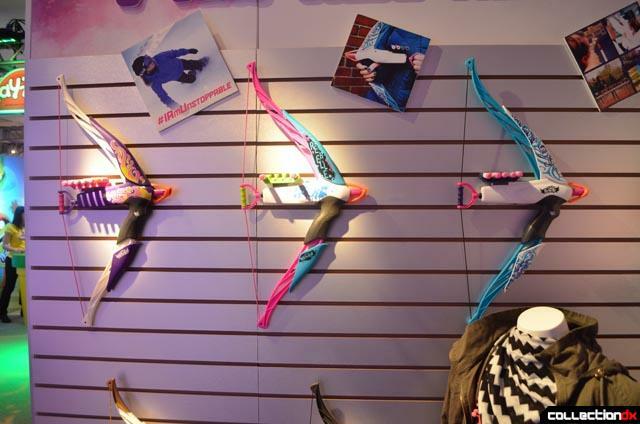 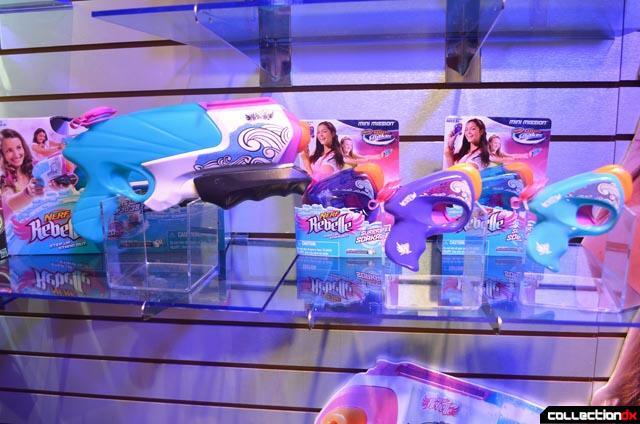 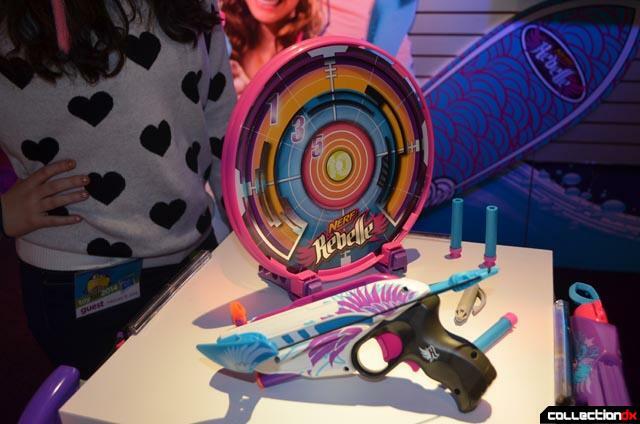 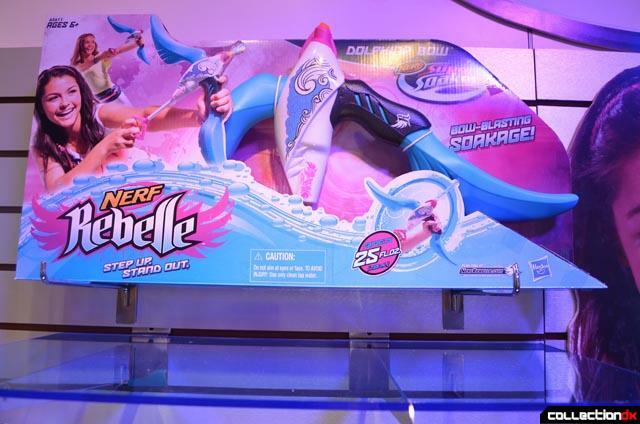 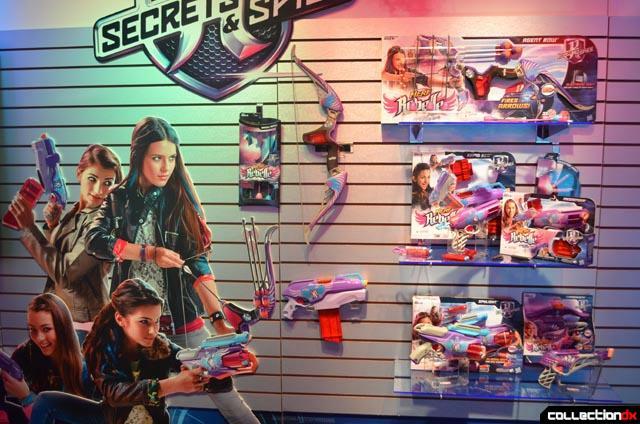 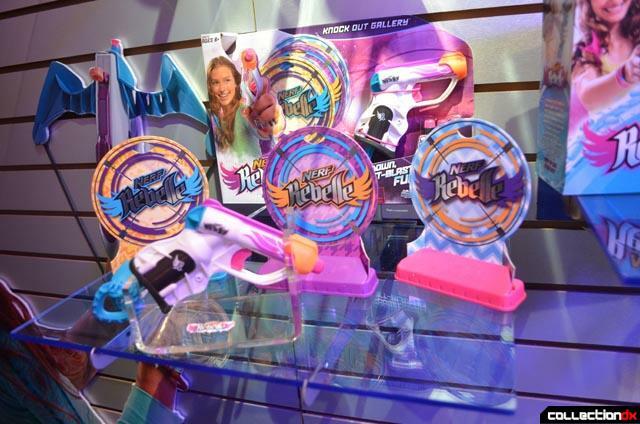 Hasbro also displayed its Nerf line aimed at girls: Rebelle.